« Mr. Magazine™ Monday Morning: The Story of O. A Double Issue. A Magazine Of Possibilities That Was Born From The Womb Of The Arab Spring – Seeking Change & Inspiration – The Mr. Magazine™ Interview With Ibrahim Nehme, Editor-In-Chief, Founder, The Outpost Magazine. From Lebanon With Love. A Mr. Magazine™ Interview From Lebanon. There are moments in history when humanity, with grit, passion and erudition, saliently moves forward. In moments like these, all the fears that have previously held us back, the ideas that sounded impossible, and the assumptions that defined our limits disintegrate as a breed of individuals reaffirm the notion of the possibility of possibility. I met with Ibrahim on a recent trip to Lebanon. 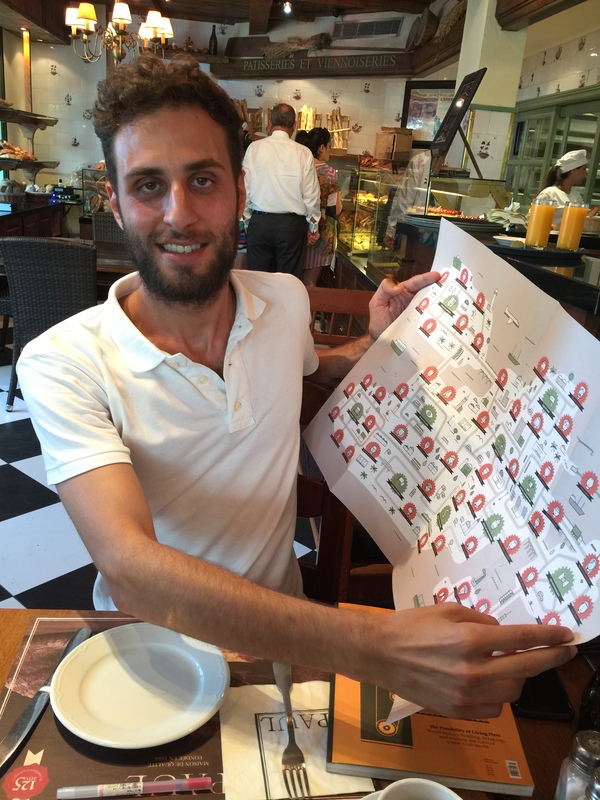 We spoke at Paul’s, a coffee shop on the main highway leading to North Lebanon and close to the Casino Du Liban. It was as inspiring a conversation as The Outpost’s mission statement is. Positivity and idealism and real passion are three words that can be used liberally when describing the young man who sat before me and talked about young people in the Arab nation who are ready for change and growth and a clear and concise direction for a successful future. Our first issue is being published at a time when a renewed sense of possibility enshrines the Middle East. The current social, cultural and political transformations are reweaving the fabric of the societies we inherited. A new generation is emerging that is, for the most part, eager to dust off thick layer of tyranny, narrow-mindedness and impotence to embark on a cathartic journey of reform. As you can read for yourself from the inspiring editorial; the magazine is intelligent, poignant and excellently written and gives a most personal look at life in the Arab world. I spoke with Ibrahim about the magazine’s frequency change (from quarterly to bi-annual), the sustainability of the publication through the World Makers concept (allowing readers to pay for a spot in the magazine to feature their own work), and about the future of the magazine. It was a premier interview with a young man who is a premier human being, using his passion to change his world for the better. 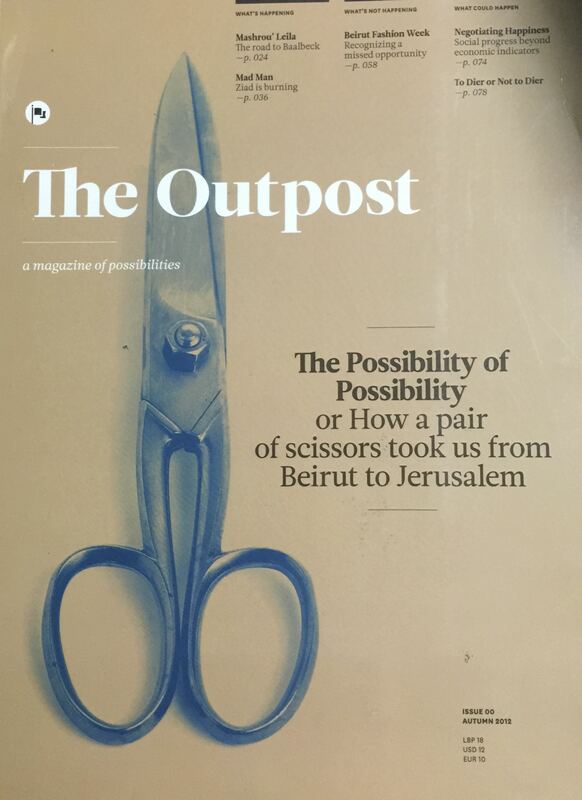 So, I hope you enjoy this stirring interview with Ibrahim Nehme, Founder & Editor, The Outpost magazine; it certainly made Mr. magazine™ see the “possibility of possibility,” and I’m sure it will you too. 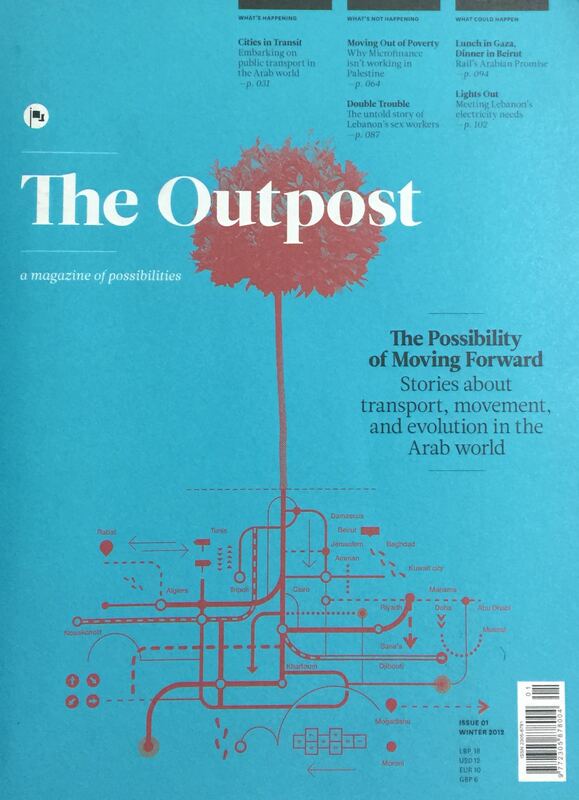 On the background of The Outpost magazine: Basically, in 2011 I was contemplating whether or not I should leave Lebanon and go somewhere abroad and continue my studies. At the time I was working for ArabAd, which is a local magazine, and the experience with ArabAd kind of opened my eyes to the world and the situation of the country, which at that time, and in a way still is, really bad. It came down to staying in Lebanon and doing something about it, like trying to create a magazine that actually ups the standards of the local print industry, or just leaving. On why he chose English instead of Arabic for the language of the magazine: We wanted to publish in English because we wanted to reach out to this particular target group, but for a magazine that has a mission really larger-than-life, with a mission that seeks to ignite change in this part of the world, we’re aware of the limitations of the English language and we do have plans to publish in Arabic, possibly a newspaper that will be distributed for free. On whether he felt it was crazy to start a print magazine in a digital world: For a magazine that’s mission is to ignite the renaissance of this area of the world; I don’t think digital-only can achieve that; people need to feel the tangible aspect of things. On the biggest stumbling block that he’s had to face: The biggest stumbling block was the fact that before starting I had a very clear plan as to how to gear this magazine forward. I had a plan for after the first year and what would happen; how we would secure revenue, but as it turned out, how things worked in my head were completely at odds with how the commercial world works. On why he thinks the magazine is selling out at bookstores, even with the hefty cover price of $12: When we first launched Issue # 0 everyone said that it was too expensive. It’s a quarterly magazine, so it comes out every three months and you’re paying $5 technically for three months, whereas there are monthly magazines that are $7.00 here on the stands. I think because it’s all new and the market is completely immature, people aren’t familiar with the concept that you actually have to pay for quality products. On why he changed the frequency from quarterly to bi-annual: Primarily for financial reasons because to produce this kind of magazine it takes so many resources, also time being one of those resources. On what motivates him to get out of bed each morning: The magazine is what motivates me, because the prospect is so exciting. We haven’t even scratched the surface of what we can achieve with this magazine. And just the prospect of really seeing the long-term vision of where this could go and trying to work toward that is really exciting. On where he expects to see the magazine one year from now: So, in a year’s time, if this works out, we will have three main pillars for the operation, which is the printed edition, the project that we are conceiving, as well as our digital platform, which is not going to be as much a hub for content as much as a platform for World Makers. 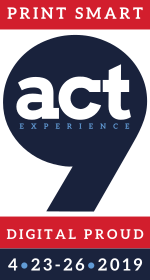 So that will encourage people to connect with each other, because I think that it can become a facilitator for change. On the definition of a World Maker: A World Maker is a person, in this case, really an Arab person, living in the region and who is trying to do something independently to facilitate positive change in the Arab world. On anything else he’d like to add: I think that we’re meeting at an interesting point because for the longest of time we’ve been trying to figure out who we are and what the magazine stands for and the point of view resonates with the type of people we are trying to reach out to. I think now we have matured somewhat and really know what we stand for and we know what we’re trying to do and that dictates our editorial and our conceptual strategies. We’re really doing very well; we’re in 50 cities around the world. On what keeps him up at night: Lately, as I said, I’ve been sleeping like a baby. Nothing is keeping me up. 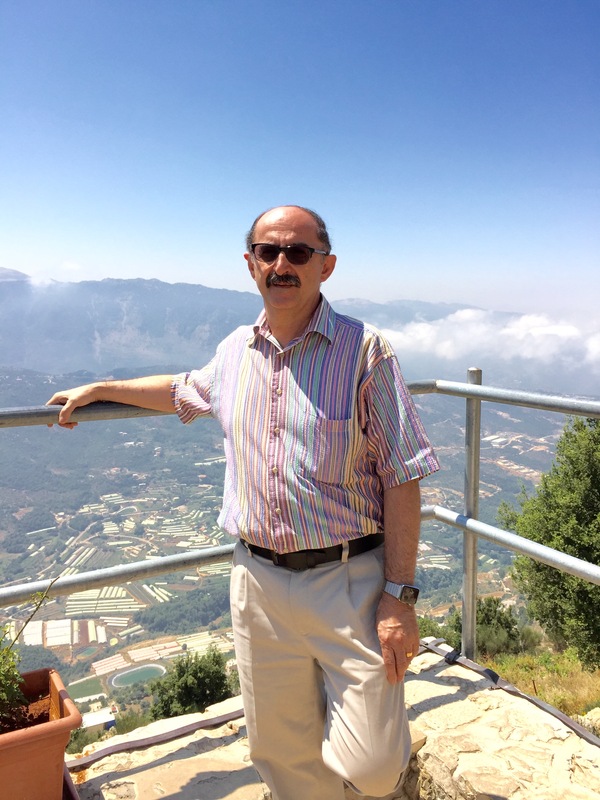 Samir Husni: Tell me about the background of The Outpost – why Lebanon and how did it get started? Ibrahim Nehme: Basically, in 2011 I was contemplating whether or not I should leave Lebanon and go somewhere abroad and continue my studies. At the time I was working for ArabAd, which is a local magazine, and the experience with ArabAd kind of opened my eyes to the world and the situation of the country, which at that time, and in a way still is, really bad. 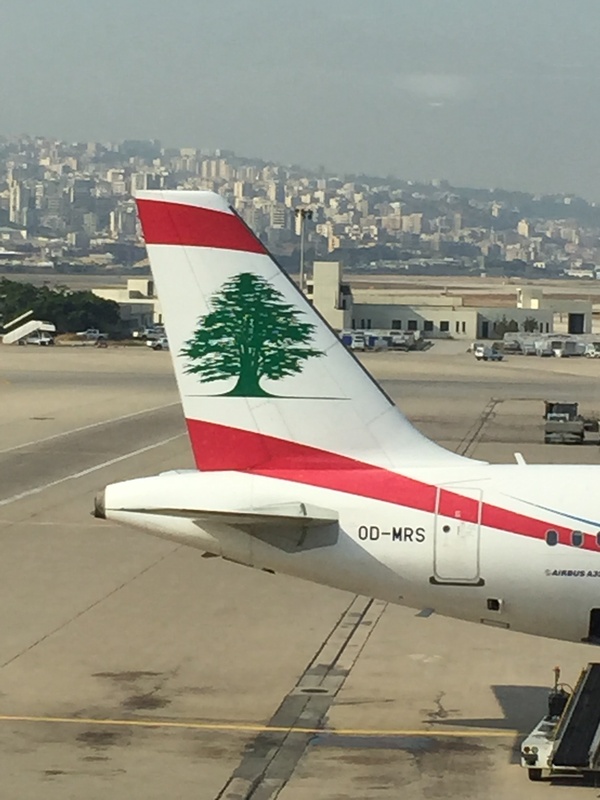 It came down to staying in Lebanon and doing something about it, like trying to create a magazine that actually ups the standards of the local print industry, or just leaving. And at the time the Arab spring was happening and there was this inspiring energy going throughout the region and I felt that it was a good time to stay and do something with print. And that’s how the magazine of possibilities was born, because at the time the region was open to all inspiring possibilities. In a way it was born from the womb of the Arab spring as a magazine of possibilities that aims to capitalize some kind of change in this ongoing revolution. It’s a political magazine; it’s a socially-conscious magazine, and it reaches out primarily to young Arabs who are the activators of change. So, that was the initial idea. We launched our very first issue, number zero, and it was intentionally numbered zero because we were a bunch of young people with no significant experience in making a magazine or in publishing. We just wanted to put our ideas out there. It kind of picked up though soon after the issue was out; we were nominated for awards and the feedback was really good. It just took off from there. 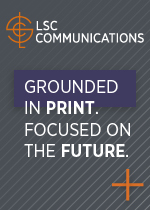 There have been so many changes to our strategy in how we’re approaching print. Samir Husni: Why did you choose English and not Arabic as the language of the magazine? Ibrahim Nehme: English was the striking point because the creative director at the time and myself, were like most Lebanese, American-schooled, and we consume our media primarily in English. And like us, there are legions of other young Arabs in Lebanon and in other parts of the region who also consume media in English and not in Arabic, which may be a shame I know, but that’s the reality of things. We wanted to publish in English because we wanted to reach out to this particular target group, but for a magazine that has a mission really larger-than-life, with a mission that seeks to ignite change in this part of the world, we’re aware of the limitations of the English language and we do have plans to publish in Arabic, possibly a newspaper that will be distributed for free. And also, because now we’re reaching out to Europe and America; we’ve been getting a lot of requests that are from non-Arabs. And I think publishing in English is helping to break these stereotypes associated with the Arab world. I always get messages from surprised readers, such as: we didn’t expect Beirut to be as you show it, so I think that it’s helping in that sense. Samir Husni: We live in a digital age and you’re a young man, under 30, fully aware of the digital tendencies of your generation; are you crazy to start a print magazine today and to also try and defend the future of print in this digital age? Ibrahim Nehme: Growing up, I always had a knack for physical things and I was never that great when it came to technology, so for me the printed product was a natural choice when I chose to make the magazine. It was never really a matter of print or digital; I think that somehow the conversation has been skewed and framed in such a way that it’s wrong. Every media has its different pros and cons and its different features. We started out in print and we knew that digital would come at some point down the line, so we have to start working on our digital platform, which we are now doing. And we’re thinking that we will conceive it the way that we did the print edition. Again, for a magazine that’s mission is to ignite the renaissance of this area of the world; I don’t think digital-only can achieve that; people need to feel the tangible aspect of things. Samir Husni: What has been the biggest stumbling block that you’ve had to face and how did you overcome it? Ibrahim Nehme: The biggest stumbling block was the fact that before starting I had a very clear plan as to how to gear this magazine forward. I had a plan for after the first year and what would happen; how we would secure revenue, but as it turned out, how things worked in my head were completely at odds with how the commercial world works. And it took me almost a year to grasp that we, the publishers of the magazine, and the media industry were on a completely different page. We speak a completely different language and for the longest time we were trying to change our language to make them understand who we are and what we’re trying to do, up until we finally realized that wasn’t going to happen. Now we’re at the point of realizing what we stand for and how we’ve been doing in the market and we’re trying to turn that into revenue that will help us sustain this enterprise. What we’re doing is scrapping advertising; starting with the next issue we will no longer publish any form of advertising; I’ll tell you more about this. We thought that moving forward and in order to keep this magazine sustainable, we could enlist the people who really believe in the value of the magazine, not advertising agencies or media companies; but the people who are really seeing the value of the magazine, the readers. And in many ways these readers are the change agents who are implementing positive change in the region, which in this issue we call them “World Makers.” A “World Maker” is anyone who lives and is trying to do something positive for nothing in return. With the next issue we have something called the World-Making Factorium, which is a poster inside the magazine. We talked about 50 World Makers and we tried to find connections between them. The idea is, for example, one woman is trying to make one place better and then collectively the whole place is going to become better because it’s inhabited by all of these caring people. These World Makers were numbered, indexed and rearranged, then connected to each other based on what they are working on. The result is a network showing the world that is constructed due to each of them making change in different clusters. We have to take money, of course, to sustain it, but the gift that we’re giving is important involving the World Makers, who are the revenue generators of the magazine. But it’s an upfront framework for supporting the magazine. Samir Husni: I tried to find Issue 5 when I first arrived in Lebanon recently and in every bookstore that I visited they told me it was sold out. So, even with the $12 cover price, which is a hefty price for a magazine in Lebanon, it’s still sold out. Why do you think that’s happening? Ibrahim Nehme: Yes, it’s $12 and when we first launched Issue # 0 everyone said that it was too expensive. It’s a quarterly magazine, so it comes out every three months and you’re paying $5 technically for three months, whereas there are monthly magazines that are $7.00 here on the stands. I think because it’s all new and the market is completely immature, people aren’t familiar with the concept that you actually have to pay for quality products. But we went bi-annual and people are buying it anyway and the price is still the same – $12 for every six months. What happened is we went bi-annual and we forgot to account for the fact that there are three more months that the magazine is on the shelves, so it was set up very fast. Samir Husni: Why did you change the frequency? Ibrahim Nehme: Primarily for financial reasons because to produce this kind of magazine it takes so many resources, also time being one of those resources. It’s a conceptual magazine, so we spend a lot of time developing the concept that binds everything together. And the quarterly frequency made it very short. Ibrahim Nehme: (Laughs too) My night and day job. It’s my life right now. 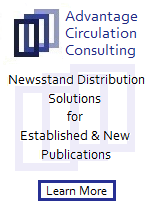 And this is another source of revenue; we’ve been partnering with organizations that have been approaching us to produce some printed material for them and these types of jobs are really paying for the printing of the magazine and other costs. So, even when I’m working on that, it’s under The Outpost’s umbrella. Samir Husni: What motivates you to get out of bed each morning and say it’s going to be a great day? Ibrahim Nehme: Recently, I haven’t been able to wake up easily because I’ve been working so hard; I’ve been really exhausted. Aside from that because it’s just a phase, the magazine is what motivates me, because the prospect is so exciting. We haven’t even scratched the surface of what we can achieve with this magazine. And just the prospect of really seeing the long-term vision of where this could go and trying to work toward that is really exciting. Samir Husni: Do you envision seeing yourself one day being the Tyler Brûlé of the Middle East and The Outpost as having the same success as Monocle? Ibrahim Nehme: No, because we’re not a commercial magazine such as that; we’re more like an activist magazine than a lifestyle magazine, which is what Tyler has in Monocle. I love hearing his stories, they’re very inspiring and a lot of what he’s trying to do now, in terms of a business model, could inspire us in many ways, but to say that we may someday be as Monocle – no. Samir Husni: You’ve created a very well done magazine, in terms of content, readability, design, photography, charts and infographics; you name it, it’s very well done. And all of this is rare for an activist-type magazine. 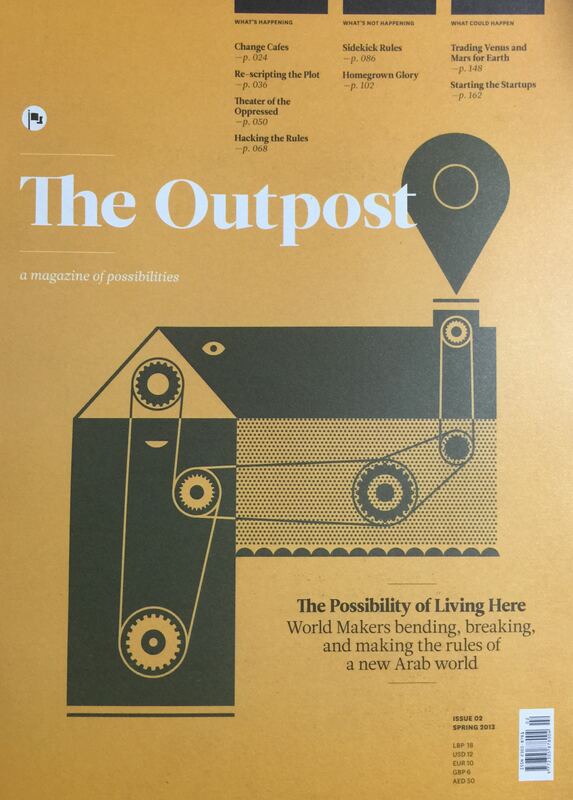 If I’m sitting here with you in Beirut next year; how far has The Outpost come in one year? Where do you expect to see the magazine a year from now? Ibrahim Nehme: Actually, we are currently working on a project that’s due a year from now. We’re trying to test different things and see how they would fit into each other. One of the things that we’re doing is developing a project, it’s an offline and online project, whereby we get the readers, as well as artists that we select from the region, to engage in a debate concerning a particular topic and then all the outcomes from the interactions and interventions that happen will be channeled into that issue. I think that a lot of the things that happen in the process of creating the magazine remain in our heads and ideas from our closed brainstorming sessions and I think that these things are important and we need to open up the discussion and let other people in who are outside the magazine. So, in a year’s time, if this works out, we will have three main pillars for the operation, which is the printed edition, the project that we are conceiving, as well as our digital platform, which is not going to be as much a hub for content as much as a platform for World Makers. So that will encourage people to connect with each other, because I think that it can become a facilitator for change. Samir Husni: Give me your definition of a World Maker. Ibrahim Nehme: A World Maker is a person, in this case, really an Arab person, living in the region and who is trying to do something independently to facilitate positive change in the Arab world. They could be an entrepreneur, an artist, an environmentalist, a lawyer, an activist or a feminist, you name it. Any person across different levels of activity who are trying to advance the region against all odds and creating worlds from scratch, because they’re living in a place where the entire infrastructure for living, for working, for production, for creation, is non-existent. That’s a World Maker. Samir Husni: Do you feel like you’re the oddball, like you’re swimming against the current in this part of the world? Samir Husni: Does that frustrate you or encourage you? Ibrahim Nehme: It used to frustrate me a lot; now, I’ve made peace with it. Ibrahim Nehme: I think that we’re meeting at an interesting point because for the longest of time we’ve been trying to figure out who we are and what the magazine stands for and the point of view resonates with the type of people we are trying to reach out to. I think now we have matured somewhat and really know what we stand for and we know what we’re trying to do and that dictates our editorial and our conceptual strategies. We’re really doing very well; we’re in 50 cities around the world. Also I think that it’s helping. When you say that it’s mission is to help ignite a renaissance by basically inspiring people to do positive things, like inspiring this person to start up a business, or that person to work on fixing something else, just so many different things. We had a message from a lady in Cairo who said she had seen our magazine and she was really inspired, so she decided to buy the magazine in Egypt. If we could have that woman times 2,000 in five years, , it would be awesome. As I said, we’re just scratching the surface. Ibrahim Nehme: Lately, as I said, I’ve been sleeping like a baby. Nothing is keeping me up.